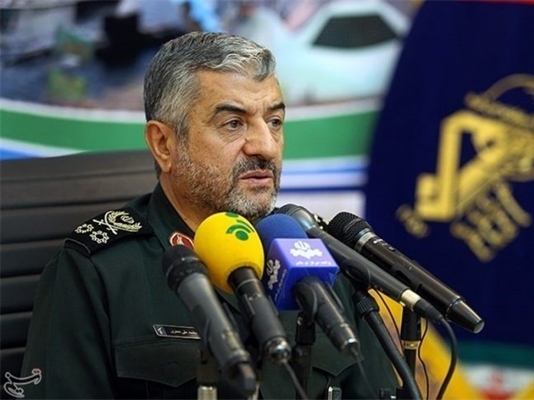 The Saudi regime is very angry with the moves of the Islamic Republic in the region as they have led to the awakening of the regional people, Major General Mohammad Ali Jafari said Thursday, speaking to reporters in the city of Qazvin. “The Al Saud is really disappointed by Iran’s successes in the region, especially in Syria, Iraq and Lebanon, and tries to react with passive movements. The Saudi regime and the reactionaries received the response to many of their baseless remarks and will receive some soon,” General Jafari added. These responses sometimes cannot be announced publicly, but will be painful, and cause more discomfort to them, he added. The IRGC chief’s comments came after it was revealed that senior Saudi intelligence officials close to Crown Prince Mohammed bin Salman had held a series of meetings with a group of businessmen to discuss the potential use of private companies to assassinate Iranian General Qassem Soleimani and other officials, the New York Times reported Sunday. According to the report, the businessmen, who also had intelligence backgrounds, considered giving $2 billion to the cause. “In light of the ongoing peace talks, the Syrian government has asked Iran to organise units as peace-keepers in Idlib and northwest of Aleppo,” he announced. General Jafari highlighted that there are currently no conflicts in Syria and forces are to be deployed in limited numbers to carry out peacekeeping missions in the region. He also talked about Washington’s policies and said according to US officials and experts, the United States is on the decline. The Iranian top commander further mentioned that the threats of enemies continue in various areas; however, they strictly refrain from using the military option and war against Iran because it is to their detriment. “The enemies’ sanctions are ineffective, and they cannot do anything. This is evident in their successive failures in their planning, and the analyses of US officials show that their boycotts against Iran would fail,” Jafari added.